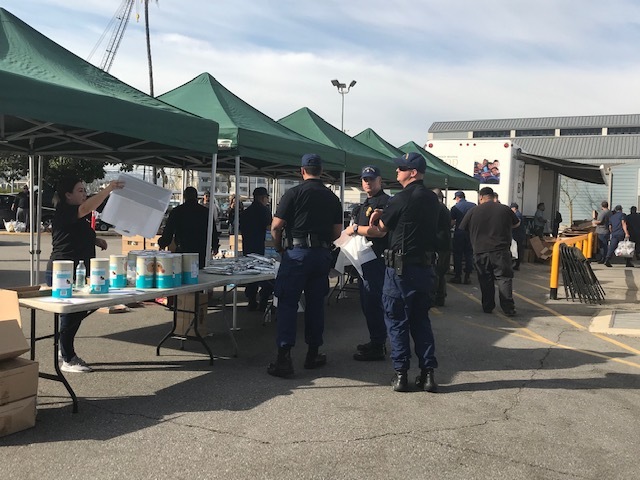 On Tuesday, January 29, the Los Angeles Regional Food Bank provided food assistance to employees at FCI Terminal Island and the Coast Guard via the Mobile Food Pantry program. 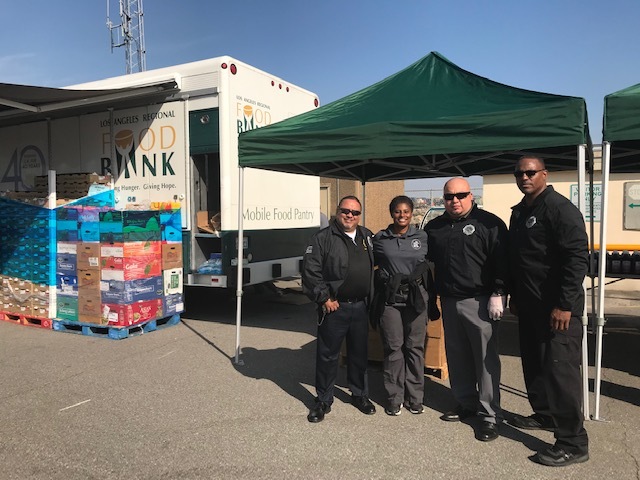 The Mobile Food Pantry, organized and operated by the Food Bank and funded by donations from the community, brings fresh food and shelf-stable grocery items to under-served areas where there is not a brick and mortar food pantry. In this case, the Mobile Food Pantry was sent to provide relief for federal workers. While backpay is rolling out this week, many federal workers and their families have stretched their budgets so thin that food insecurity is a short-term reality, while federal contractors are not likely to receive retroactive pay at all. Many people assume that food banks exist to feed the homeless. While this is an important function of Food Banks, it is estimated that less than 15% of donated food goes to this population. The vast majority of those benefiting from the Food Bank’s services are children who may not know where their next meal is coming from, older adults who may be unable to work or who are living on a fixed income and the working poor who, due to the high cost of living in our community, are unable to make ends meet. Unexpected layoffs, job injuries, or natural disasters like fires and earthquakes can put anyone in need of food assistance, often with no notice. That’s why food banks are critical in every community. 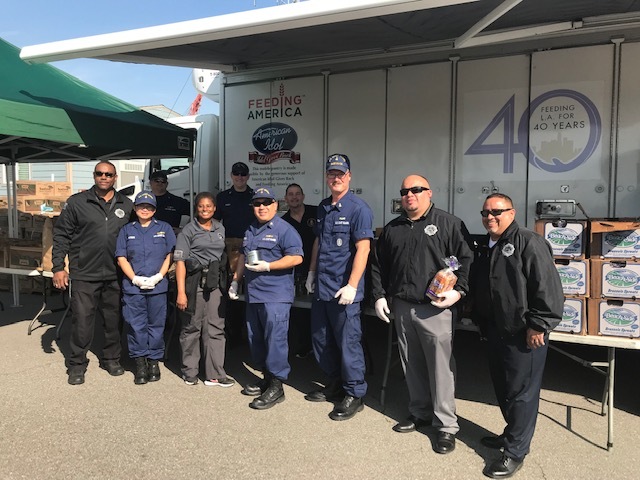 The federal government is one of the top five employers in Los Angeles County, and with the cost associated with life in Southern California, a few missing paychecks add up quickly. Federal worker’s paychecks are just part of the equation, however. While the shutdown was in full swing, it was possible to imagine an impact on Women, Infants, and Children (WIC) food and nutrition services and Supplemental Nutrition Assistance Program (SNAP) benefits. While the food banks are generally well-equipped to deal with unforeseen events, if those programs were affected, the demand on local food banks would be a challenge. Approximately 550 thousand households receive SNAP benefits in LA County. That represents around 1.1 million people, about half of which are children. Average SNAP benefits typically last only two weeks, so the end of the month is when hunger relief agencies tend to see higher demand for services. People, especially families with children, will suffer nutritionally if WIC or SNAP benefits are disrupted. 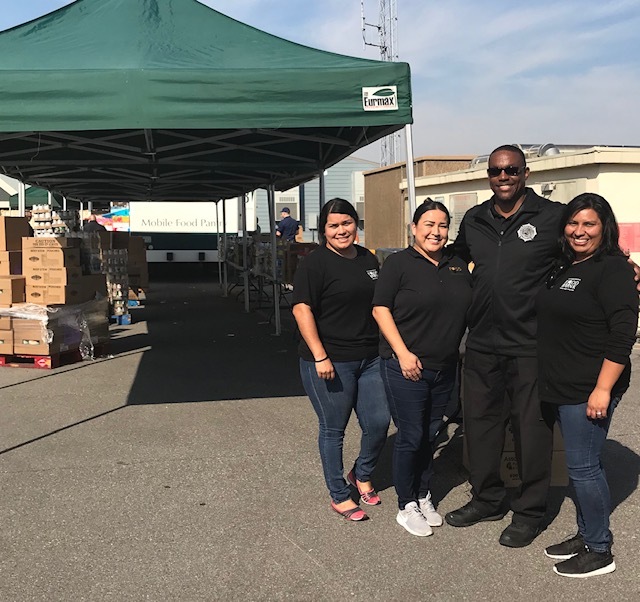 As a part of the Emergency Network of Los Angeles (ENLA), the Food Bank plays a role in recovery when the community is faced with disaster. From a planning perspective, the Food Bank was acting as though the shutdown was a natural disaster. Many of our neighbors were already rent-burdened, and some of those individuals are now struggling to decide which bills to pay while they wait with some uncertainty for their next paycheck. 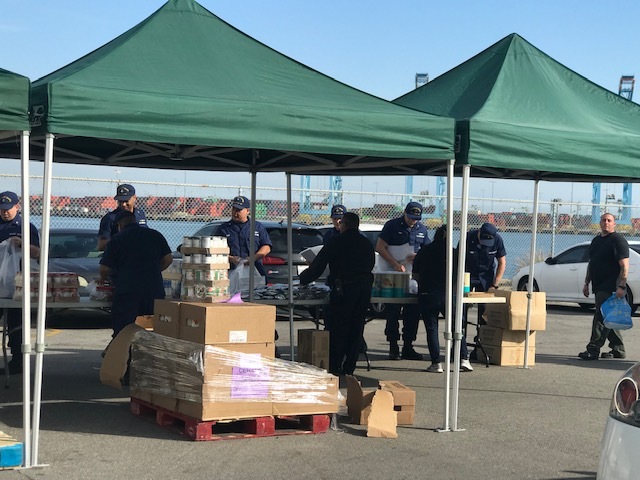 In the same way that thousands of California residents relied on their local Voluntary Organization(s) Active in Disaster (VOAD) to aid in recovery in the wake of the Woolsey Fire, this situation caused thousands of working families and individuals to rely on local pantries and food banks, a situation many never could have imagined. The Food Bank, which distributes more than 1 million pounds of food every week to individuals and families throughout the county, started the year with a high inventory. “We have plenty of food, so that wasn’t a concern for the recent shutdown, Flood said. The Food Bank is helping anyone impacted by the shutdown, and is also making preparations just in case there is another shutdown in a few weeks. “We suspect that there are even more people in need, but asking for help and for food is not easy for everyone—especially for those who have never been in this situation before,” Flood explained. 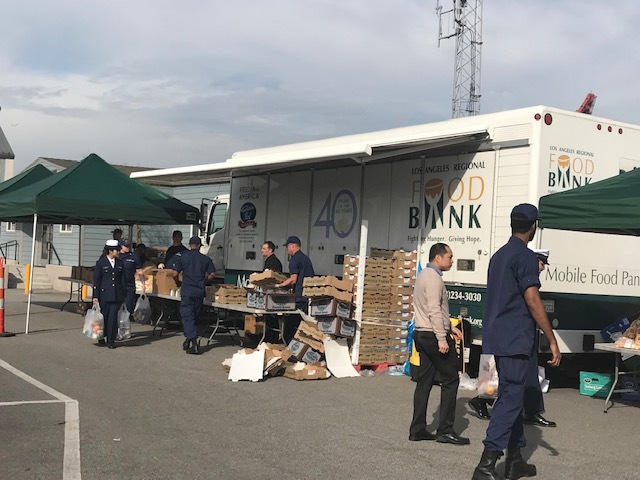 The Food Bank is ready to provide Mobile Food Pantry distributions in communities that were especially hard hit by the shutdown, and additional funding may eventually be required to accommodate these asks. These distributions will provide relief not only to federal workers who may still need support until their backpay arrives, but to the government contractors who missed two paychecks and who are not eligible for backpay. Please consider donating to the Los Angeles Regional Food Bank so that we can continue to help those in need.